Lower Kern River reaches milestone levels – highest since 1998. Home/Lower Kern Rafting/Lower Kern River reaches milestone levels – highest since 1998. Releases from Lake Isabella went up and over 1,000 cubic feet per second yesterday – earlier than the milestone has been reached in the past decade. The Lower Kern River, fed by releases out of Lake Isabella, reached flows of over 1,000 cubic feet per second yesterday morning. Yesterday’s abnormally high release for this time of year capped-off a two-week span in which the outflow of Lake Isabella has increased daily. It also marked the first time in 12 years that the Lower Kern has reached the milestone this early in the year. Cubic feet per second (CFS) is a common way of measuring water volume in a river. It refers to the amount of water flowing past any particular river point for every second. 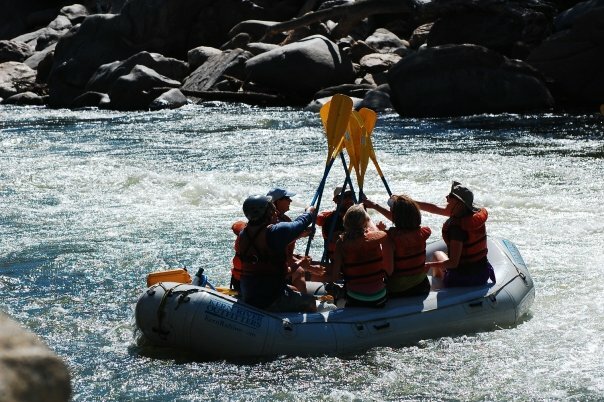 The Lower Kern River is considered “runnable” in a raft at flows above 500 CFS. By Matt Volpert|2016-10-24T22:47:13+00:00April 20th, 2010|Categories: Lower Kern Rafting|Comments Off on Lower Kern River reaches milestone levels – highest since 1998.